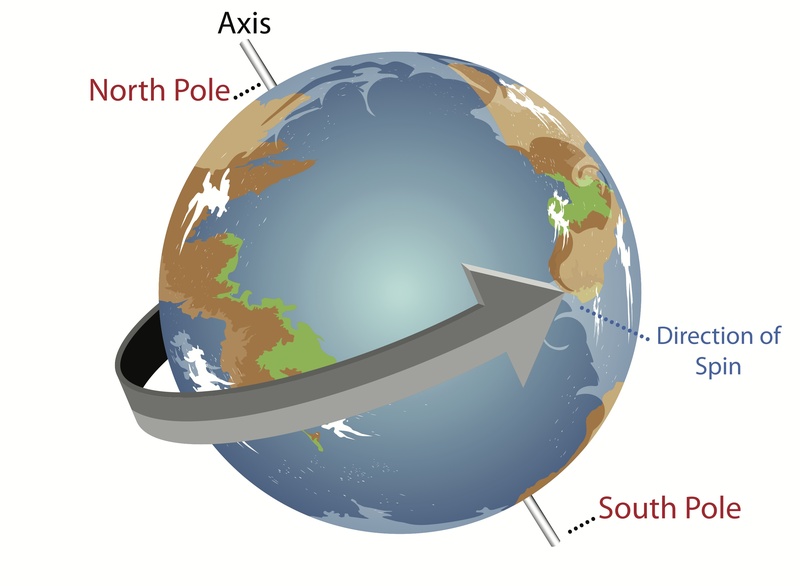 Surely this question you have never done and it is that we assume that it is natural for the Earth to rotate on its own axis since our planet does it as everyone we know. From the Sun to Pluto (consider it planet or not, it does not matter) going through the satellites that have the planets or the asteroids, they all revolve about themselves. Why do it spin?. Well first I’ll answer you because they do not rotate. If you have ever asked the answer you will get is always the same, they turn by gravity but that is something false. Gravity does not make things spin. Why?. Let’s talk a little field theory. A force field (as for example the gravitational) can be of many types, but there is one especially that is very curious: the field conservative. A conservative field is one in which the road used to get from point A to point B equals what counts is the force exerted by the field at those points. Let’s say that a conservative field is independent of the chosen path. Gravity is one of them, it is a conservative field. We all know that if we calculate the potential energy of an object (or how it varies) gives equal to the path that follows the object and only the height. Gravity is a field of conservative force. Conservative force fields derive from a potential, a gradient. That is, we can define it as a force exerted that has 3 components in the 3 axes, for example where, as we see, each Component of the force is a function that depends on the other components… to complicate it a little, nothing more. The field will be conservative if por ejemplo, en el caso anterior is a potential. So far everything is perfect and without problem, we know that a field is conservative if it derives from a potential since it does not depend on the path chosen (those who know you would say that the calculation of the work does not depend on the curve chosen and if only the points) . As you see, what we have used is the field is the divergence of a function, which is the potential . Now, just as we used the nabla operator with the scalar product to calculate The divergence, we can use the nabla operator with the vector product that gives us … the rotational. For example, if we have a velocity field if we calculate its rotational we will have . That is, a field of velocities that rotates on the XY axis, its rotational gives us twice the angular velocity. Curious. Which, in any conservative field, will give us 0. What does this mean?. For the Earth, in this case but extrapolable to all bodies, does not rotate on itself because of the gravitational attraction. Then why does Earth spin?. Well, it’s not known at the moment. It is thought that in the principles of creation of our solar system, the dust, due to the attraction and that revolved around the young Sun, to condense and to attract itself (the dust to each other) gravitatorily created uneven zones of density that have made little Little rotation is generated. If we add the typical collisions, that the Moon (in our case) attracts us and deforms the Earth, that the Sun and other planets also deform it and vary its density, all this can give rise to a turning force. Maybe that’s why there are not two bodies that spin at the same speed. You think of the collision of gas and particles in the disk of creation of our solar system since the angle in which the planets revolve is very similar (not the same), but what if you can say is that it is not known why the Earth rotates or any other astronomical body with a wide head and, above all, that gravity has nothing to do with the rotation because it is a field of conservative force. I hope this helps you to gain entry to know more about fields, forces, rotational and divergences, something that falls within geometry and differential geometry.